I know what you mean about wondering about its usefulness, buy every day I use it and frequently find new uses I never would have thought. Beyond just fitness and notifications, there are some awesome uses. Such as texting during a board meeting, a whole lot more incognito with the watch than the phone. Lol. Don’t want to be obvious while I’m texting so sort of lol. I'm torn between whether or not to get something that looks impressive or something that has functionality besides just telling time. Usually when this happens I wont get anything. I just reminded myself, I need to pay bills. You have an apple watch right? Yes. Just recently got one. Thanks to those who responded. Yes, I would consider myself as an enthusiast with a few watches in my collection. Mechanical only watches. This one I got today at the flea market. I would call it a "classical dressing watch". Junghans is one of the well known watch manufactures in Germany. This one is about 1960. I’ve got a new watch! 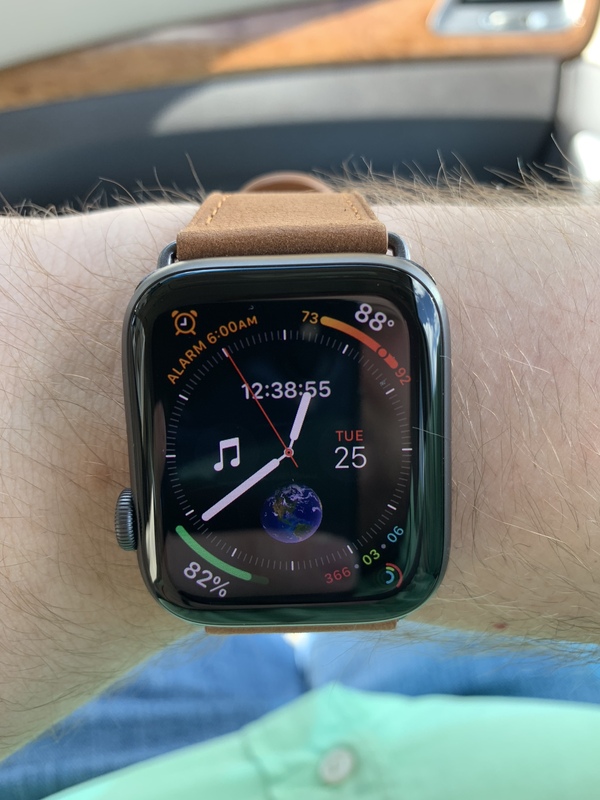 Apple Watch Series 4! It that the 40 or 44mm model? I like how in the advert he is swimming in the sea, then underneath it says.... Only suitable for shallow water. Thanks for sharing. More pictures would be great. Is this the first iwatch you owned? I owned the 1st generation one and the green light for calculating the pulse and hear rate was causing needle like pain. Let's do something on "Lazy Sunday afternoon". I was taking a look at my watch box. Meanwhile a really rare one. May be you like this too. 1 more question what language is the displayed on the date window? No, I will not replace the strap.